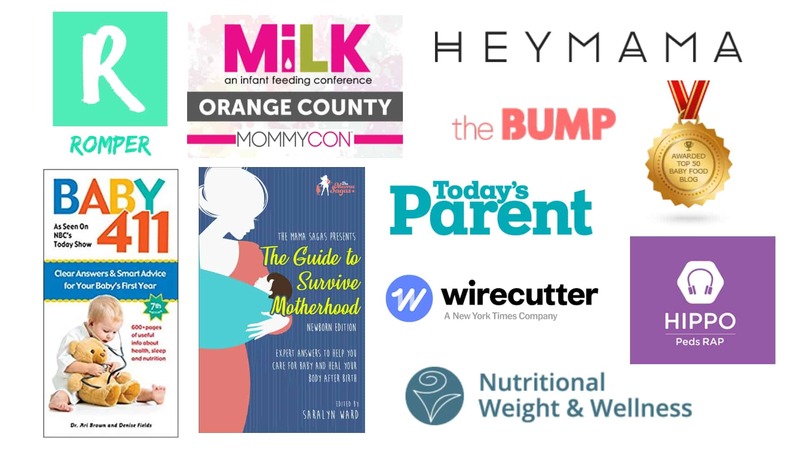 Welcome to the Baby Formula Expert Website! Click for the “I hate medical mumbo-jumbo. Can you simplify this for me?” summary here. The predominant carbohydrate source in human breast milk is lactose. 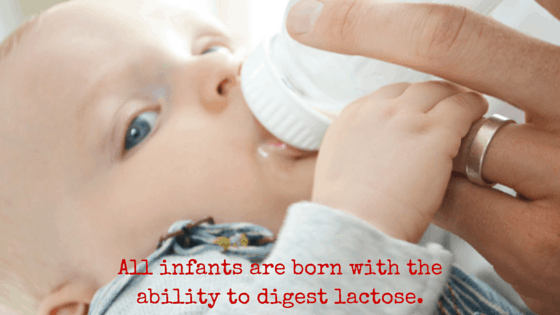 All infants are born with the ability to digest lactose. This is often a source of confusion for parents when infants/children develop an allergy or intolerance to cow’s milk-based formula. Many people naturally assume it is the lactose in the milk because lactose makes a lot of parents gassy, crampy, and cranky too. However, when an infant develops a reaction to something in cow’s milk or baby formula it is almost always a component of the protein, not the lactose (see the article above that explains why hydrolyzed protein baby formulas can prevent allergy development). In short, for most healthy babies, lactose is not a bad thing, it’s what infants are supposed to eat. Only some formulas use lactose as the main source of carbohydrate. Other commonly used sources of carbohydrate that I am not as enthusiastic about include: Corn Syrup, Corn Syrup Solids, Corn Maltodextrin (another type of corn sugar), Glucose Syrup, Brown Rice Syrup, and Sucrose (table sugar). These other sugar sources are commonly used for two reasons: 1) because they are much and 2) much sweeter and 3) easier to digest than lactose. 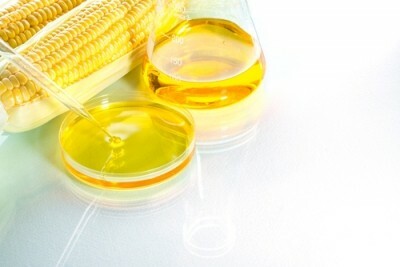 1) We Nutritionists have been spouting the evils of corn syrup for years now…. Why would we recommend it for infants? 2) Lactose is fundamentally different from these other sugars. Lactose is a glucose and a galactose molecule joined together. All babies make an enzyme called lactase that breaks these molecules apart so they can be absorbed. Corn maltodextrin and corn syrup are primarily all glucose molecules while sucrose is a glucose and fructose molecule joined together. These alternative sugars will not utilize infants’ lactase enzyme that is ready-to-go. It is also possible that corn sugar may have a larger impact on infant insulin as it contains twice as much glucose per gram than lactose does. 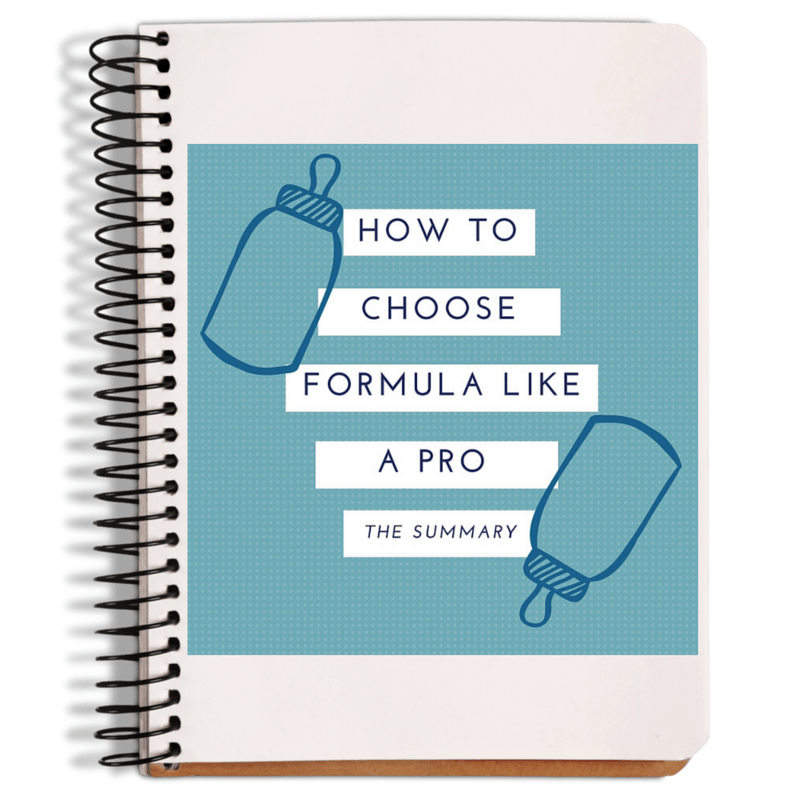 Click here to read some more nerd details about the biological differences in carbohydrate options in formula. 3) Lactose helps aid in the absorption of calcium from baby formula (1). 4) Lactose helps feed the good bacteria that we want to grow in babies’ intestines (2-5). 5) Almost all of the corn in this country is now genetically modified. While I do not take a firm stance either way on genetically modified foods, I don’t think our susceptible infants are the population on which to be testing them. But LOTS of formulas now have non-GMO versions. In my opinion, this is a great option if a corn-based sugar is one of the main ingredients. You must read the formula label list of ingredients! If you don’t read the ingredients, you can’t tell the difference in where the carbohydrates are coming from. Remember that ingredients are always listed in the order of amount. But interpreting carbohydrates is complicated! This is because cow’s milk naturally contains lots of lactose. So, if you see “cow’s milk” on the ingredients – you are just supposed to know that this is a source of lactose. For example, Gerber Soothe formulas has no lactose on the list of ingredients. BUT, the carbohydrate in this formula is 30% lactose and 70% maltodextrin – even though only maltodextrin is listed on the list of ingredients. I recommend starting with a primarily lactose – based baby formula. To help poor sleep-deprived parents – below is a summary table of the most common brand-name baby formulas for healthy term babies, and the sources of carbohydrate in these formulas. Notice above that the soy formulas do not contain any lactose. There is an incredibly rare genetic disorder that makes babies unable to digest lactose. When this does happen, a true lactose-free formula is necessary and it’s wonderful that we have these options. However, soy formulas often try to market to parents who mistakenly believe their baby has a lactose intolerance… which I don’t like. Lastly, baby formula provides roughly 40% calories from carbohydrate (just like breast milk). This means that a baby who is consuming a formula that contains no lactose (and all corn-syrup) will be consuming 40% of their calories as pure glucose. If they are consuming a formula that is made with half corn syrup solids and half sucrose (or table sugar) then 10% of their calories will be coming from fructose . Yikes! We have no idea what the long term consequences of consuming this much glucose or fructose early in infancy may be. That much glucose is likely to result in higher insulin surges in these babies. Baby pancreases (the organ that produces insulin) are very strong and are able to handle that much glucose. But what are the long-term consequences of forcing formula-fed babies’ pancreases to work harder than breastfed babies’ pancreases? Especially if that little-one has a family history of type 2 diabetes? The answer is: we have no idea. We also have no idea what the long-term consequences are of consuming large amounts of fructose in infancy, while all those tiny organs are still developing. Human breast milk doesn’t contain really any fructose. There is lots of research in adults about the damage that large amounts of fructose can have in the body. Without getting too nerdy on you, fructose is digested differently than either lactose or glucose. When adults consume too much fructose, it can lead to liver damage, insulin resistance, unhealthy fat inside internal organs and an increase risk of obesity and diabetes… yikes!! (6-15). While no one has studied if these effects may also occur in infants, if possible, I would suggest avoiding sucrose in formula if possible. I didn’t write this to scare you. If you have found a formula you LOVE, and it has some corn sugar in it – then so be it!! A happy healthy baby is the MOST important consideration! Everything in formula has been shown to be safe for infants. So, while we don’t know some of the long-term consequences of consuming these ingredients in high volume during infancy…. it will not poison your baby. Please don’t panic! My suggestion to avoid or limit corn sugar is a starting point for those choosing a formula to start with. Plus, I know nothing is ever cut-and-dry when it comes to babies. I think there are some situations when a lactose-reduced formula (a formula that has both lactose and some alternative sugar) can be really helpful! I actually did a happy hour all about it since I get the question so often. If you think this may be your baby – please watch. I think it might help! Next up: Fat in formula! I’ll break down exactly what you need to know. Corn sugar (in various forms) is often used as a source of carbohydrate in formula. The long term consequences of consuming corn-based sugars during infancy are unknown. I recommend starting off choosing a formula that uses primarily lactose for the carbohydrate. As the parent of a newborn, I am sure you have lots of spare time to leisurely read through all of my detailed articles. But on the off-chance you don’t have excess leisure time – you can click the button below to get a lovely summary of the take-home points of this flagship article series. I’d love to help!